JLL, as the exclusive marketing agent, is inviting offers through an Expression of Interest (EOI) exercise for the purchase of 31 and 76 Pagoda Street, two prime three-storey conservation shophouses nestled within the heart of Singapore’s historic Chinatown district. 76 Pagoda Street is located right at the entrance of the Chinatown MRT station, while 31 Pagoda Street is less than three minutes away. The two prime three-storey conservation shophouses are readily accessible via public transportation along New Bridge Road and Cross Street. 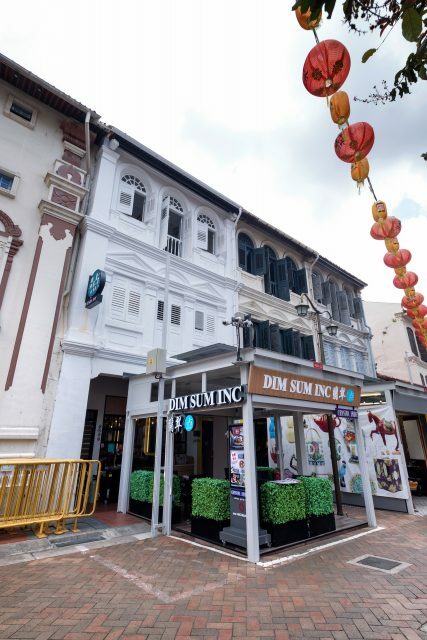 Located within the Central Business District (CBD), the two prime three-storey conservation shophouses are within five to ten minutes’ walk to the Raffles Place district. It is easily accessible to other parts of Singapore via the Central Expressway (CTE), Marina Coastal Expressway (MCE) and Ayer Rajah Expressway (AYE). Located in the Kreta Ayer conservation area, Pagoda Street boasts a rich history. Today, it is a popular pedestrian street which houses a plethora of shops and stalls featuring restaurants and hawkers serving authentic Chinese cuisine; retail shops selling souvenirs, antiques, clothing, jewellery and cultural knick-knacks, as well as various accommodation options such as boutique hotels and backpacker hostels. The street features a unique atmosphere and is crowded with both tourists and locals throughout the day. During the Chinese festive seasons, the street becomes even livelier when the pedestrian walkways and roads in the area are converted into street bazaars and cultural performances and activities can be found along the thoroughfare. Shophouses on Pagoda Street are tightly held and seldom made available for sale. Notable transactions along the street include 39 Pagoda Street which sold for $12.2 million ($3,700 psf) in May 2017 and 205 & 207 New Bridge Road (located at the corner of Pagoda Street) which sold for $20.5 million ($3,535 psf) in September 2016. The guide price for 31 and 76 Pagoda Street is in the region of $32.8 million. The two prime three-storey conservation shophouses can be sold either individually or collectively. As the property sits on land zoned for commercial use, foreigners are eligible to purchase the property. There is no Additional Buyer’s Stamp Duty (ABSD) or Seller’s Stamp Duty (SSD) imposed on the purchase of the property. The sale will be conducted through an Expression of Interest exercise which closes on Thursday, 6 December 2018 at 3pm. Properties such as the two prime three-storey conservation shophouses are perceived as attractive investments because they can hold their values because of their central locations and the freehold/999-year-leasehold of many of these properties. Shophouses are also valued because they give prominent presence to a business entity for them to be visible in a highly competitive environment.